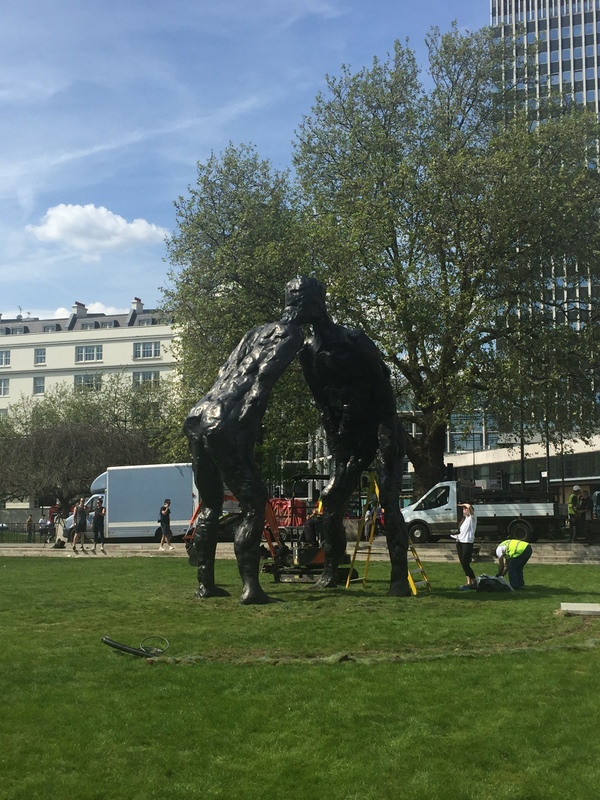 The latest addition to Westminster City Council’s City of Sculpture Programme, “Brothers” by David Breuer-Weil, has been installed at Marble Arch. 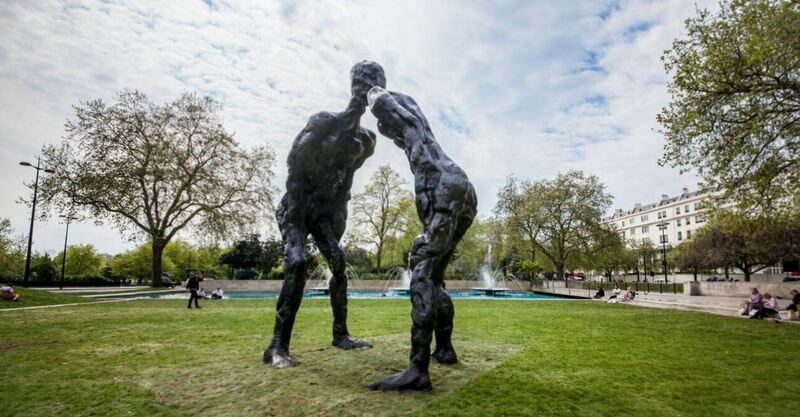 City of Sculpture sees the City Council collaborate with private and public galleries to commission and donate public art pieces across Westminster, to provide residents and visitors with the opportunity to access public art in the streets and spaces around them. “Brothers” depicts the joining together of two separate but connected individuals, explicitly siblings. Sculptor David Breuer-Weil explores the concept of togetherness, and how in the 21st century, distances between people that were formerly unbridgeable are now connected in less than a second. The work is scaled up from an originally much smaller maquette and the finger prints and marks of the artist have also been scaled up and can be seen by visitors. Westminster’s City of Sculpture programme has benefited from the involvement of more than 15 galleries to date, as well as a number of individual artists, spanning 20 sites across the city. The installation team adding the finishing touches to 'Brothers'. Brothers will be with us until November 2016. 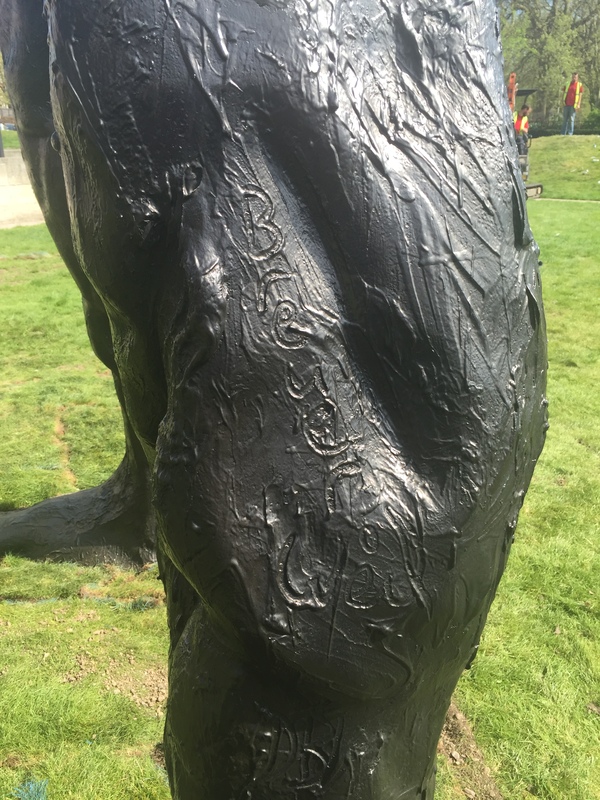 Visitors can see the artist's fingerprints and signature on the sculpture.